Fair pricing, ease of access, efficient claims handling, added value services offered to improve road safety are all aspects of the customer-insurer interaction for which new technologies may provide significant means of gaining competitive advantage and retain the customers. Yet, embracing the technological "revolution" should be a carefully balanced decision considering both the elating opportunities and the inherent challenges. "IIF 2019 - MOTOR INSURANCE - the innovation challenge" addressed both sides of the decision-making process, benefiting from relevant experiences across Europe. IoT offers new opportunities for insurance companies, including the growth of insurance portfolio. For example, Discovery (South African company) scaled-up its auto business with a value proposition based on the promise made to clients that they will receive back up to 50% of monthly gas spending. Both in Italy and South Africa, insurers are selling to customers an "enhanced road side assistance" (telematics based services). The typical insurance telematics offer in Italy includes a telematics device (black box to be installed on top to the battery for all the year - self installing), as well as a specialized insurance coverage: auto liability insurance coverage with 25% up-front. Many insurers have been able to sell telematic policies without material discount for the customer. Over 40% of the 7 millions of Italians with telematics chose it for the services. Enhanced the effectiveness of the claim evaluation and the efficiency of the claim process. Telematics allows companies to attach the best risks to the pricing level, due to the fact that product features allow for self-selected risks. An auto telematics value proposition focused on the claims monitoring has a terrific effect on the acquisition of low risks clients: even if two customers seem to be equal, the one who accept to be monitored is 20% less riskier. Discovery Insure (South Africa) used telematics to influence the drivers' behavior by rewarding them with a cup of coffee or a smoothie for every 100 consecutive kilometers free of events. The usage of telematics can also have a positive impact on changing driving behavior. The Third approach - try before you buy (ROOT Insurance) - you drive monitored for 2-3 weeks and then receive the price proposal. Motor business represents 25% of total GWP of VIG. There are 95 millions registered vehicles in VIG markets, every 10th vehicle being insured by VIG. Business environment is marked by increased average claims on MTPL. This is a situation for all our core markets. 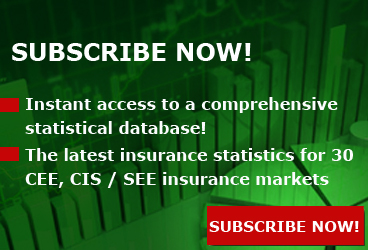 (in Romania, the average claim increased in 2018 by 24%, while the average premium decreased by 27%). The same situation is also valid for CASCO. The average claim increased in all our main markets. In Romania, the average claim grew by 10% (from EUR 1,131 to EUR 1,241), while the average premium for CASCO decrease by 28% (from EUR 586 to EUR 421). We see more foreign claims due to increased workers' mobility. CEE-countries account for a much higher workers' mobility compared to Western-European countries. The bodily injury claims increased in the last years, the main factors in this direction being the increasing life expectancy, the increased claims awareness, the improved welfare, the capitalization tables and the legal changes. Trucking plays a substantial role in the increase of the Green Card claims, the biggest growths being seen in Bulgaria and Romania. In Bulgaria, the increase in claims for reinsurance overcompensates the evolution of premiums by 4.9 times (from 2007 to 2017 claims cost increased by 323%, while premiums grew by 67%). 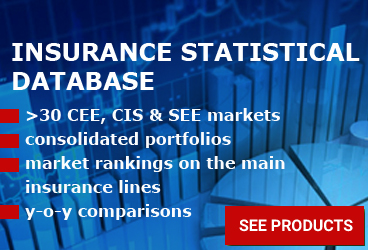 This is why, over the last 10 years, Bulgarian MTPL market has not left any margin to insurance and reinsurance. Dynamic, competitive motor markets are driving the need for innovation. The rapid expansion of data availability enables additional insights into drivers risk, resulting in a shift towards more tailored products and pricing. Insurance data is often not available to the extent required for a highly granular and unbiased view on the risk landscape. "Motor Market Analyser" predictions provide a complementary outside-in view. The motor market is changing fast, automated vehicles technology being already in use. Motor insurance provides liquidity and access to clients. A 15x times increase of telematics-based premiums volume is expected by 2025. Researches shows a shift in motor risk modelling and pricing: from traditional risk pricing model (age, driving years, territory, vehicle data, previous claims) to UBI pricing model (Driver behaviour, Context of driving, Surrounding information, Comparison to other drivers), Automated vehicles model (UBI pricing model, Advanced driver assistance systems assessment, Usage of autonomous features, Vehicle "behaviour"). The digitalization is providing the insurance industry the opportunity to use technology for improving the efficiency, increasing customer satisfaction, and creating new strategic opportunities (new services or business models). Digitalization also opens doors to improve overall customer experience. 77% of insurers believe that AI will transform their role in the future. 61% of insurers currently work with fraud detection type of software to improve their reaction to fraud attempts. 26% straight-through processing and touchless claim handling applications improve the customer's experience and satisfaction regarding insurance services. Digital renter's insurance startup Jetty, supported by Munich Re, is able to offer a quotation with only one input - the postal code. The customer wants to buy insurance when he needs it, he wants 24/7 online access, he wants to notify a claim when he chooses to do so, not when someone else has the time to do it. Great customer experience is the driver of cost reduction. The insurance disruptor that will function as a game changer - car manufacturers will force a change in the automotive value chain due to increasing high levels of integrated services. Car manufacturers will accept liabilities and will enter insurance market, like a "Trojan Horse" - an announcement made by the CEO of VOLVO. RECREX is Green Card and 4th Motor Directive correspondent claims management and settlement on Romanian territory. Between 2015-2018, RECREX investigated 2,500 cases, out of which 8.38% were demonstrated as frauds, saving EUR 2.86 million. Starting 2018 RECREX has "Recrex AFC" (Private Detective Agency) which covers the whole country. RECREX uses Integrated IT system Claims-Antifraud, a network of over 200 technicians and over 300 repairs shops. RECREX handled aprox. 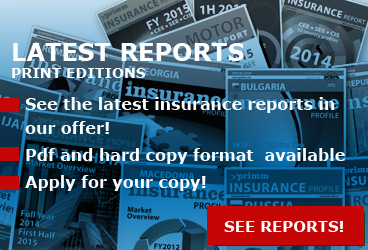 2.800 claims files in 2 years for an Bulgarian insurer. The situation in the past for motor insurance was marked by simplicity: only human interaction, predictable environments and simple products. Main disadvantages compared to present day were the lack of communication channels, no SLA's, no KPI's, a very low level of automatization and a massive number of employees. In the present things have changed. 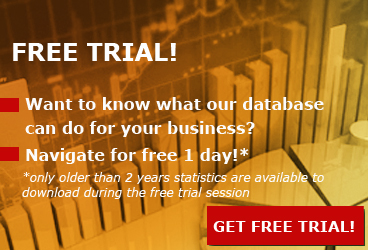 Today we have less paperwork, better data analysis tools (KPI's, SLA's etc. ), a big number of communication channels and more vehicles (motor vehicle production for year 2017 reached 99 million units). Today's problems are the high number of employees, the accuracy of data and internal frauds. The amendments to MID (Motor Insurance Directive) where proposed by the European Commission COM(2018) 336 - 2018/0168(COD). They were adopted by the European Parliament on 13 February 2019 and referred back to the committee responsible. to fight against uninsured driving and fraud. Some of the proposals refer to guarantee limits, random checks controls, the use of claims history, the prescription period, bankruptcy situations or price comparison tools. The basic concept of the rules is that the Law is the same for all type vehicles. Terrorist acts will be covered in the new directive. The Romanian motor insurance market was challenged by the two big bankruptcies and the capping of MTPL tariffs (for 6 months) during the last three years. BAAR paid EUR 90 million following these two bankruptcies, while EUR 50 million have been reported in claims reserves. Year 2017 - the launch of Romania dedicated MTPL law. Although this represented a step further for the Romanian insurance market, some changes are necessary today. Some of the law provisions are not correlated to the MID (Motor Insurance Directive), the European Commission requesting changes in this regard. high risk clients and N factor. 10 days to pay the claim (0,2% per day penalty for late payment or 73% per year). One of the change in MID (Motor Insurance Directive) is referring to a uniform document across Europe (today, each country has its own method of handling - including pricing related to Bonus-Malus systems, claims free driving). At the same time, a new challenge for MID is giving discounts in an equal manner, but having the possibility to adopt the national Bonus-Malus system and legislation. This creates space to eliminate the posibility of discrimiation in non-cross-boarder insurance cases. Regarding the type of vehicle to which the MID is applied, small "new" types of vehicles (e.g. e-bikes, segways, e-scooters) are excluded, mainly because there is no potential to cause significant damage in a cross-boarder situation by these vehicles. In some way, this decision avoids to discourage innovation, expensive and excessive insurance. The definition of "use of a vehicle" is meant to bring the language of MID in line with new decisions of European Court of Justice (e.g. "Vnuk case"). The term refers to any possible use of the vehicle, with the exception of motorsport events or using vehicles exclusively in non-traffic situations (e.g. showrooms of restored oldtimers, the utilization as a machine etc. ), at any place (including private driveways or parking garages). Coverage in case of bankruptcy has the goal to protect the victims, especially for polices issued according to FOE and FOS. The MID is trying to introduce more uniform rules for compensating bodily injuries "through the backdoor". Croatian insurance market saw a decrease of non-life share in total GWP, from 74% in 2009 to 68% in 2018. Non-life sector started to recover later than life sector, due to MTPL negative evolution. The MTPL business line decreased in share, from 42% in 2009 to 31% in 2018. A direct consequence of this phenomenon is the MTPL liberalization. Bonus-Malus: Insurance companies are still prescribing using Bonus-Malus scheme in their acts. However, classes are defined by insurance undertakings and bonuses may be given on different criterias (for example family bonus). A steep decline of MTPL GWP in first year of liberalization (the total decline of MTPL gross written premium amounts to 27%, compared to 2013) and a decrease of the average MTPL premium by 37%, compared to 2013. The main MID (Motor Insurance Directive) objectives are the protection of traffic accidents victims and the certainty of free movement of persons and vehicles.